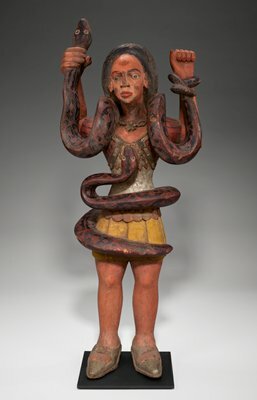 Snakes have played a visible role in religious texts and sacred practices around the world. No aardvark handed Eve a Honeycrisp or Fuji. A Tennessee pastor is now fighting state charges over possession of the slithery wild animals, which he uses in his sermons. “This is a fight for freedom of religion,” argues Andrew Hamblin, pastor of the Tabernacle Church of Guide and a star of “Snake Salvation” on the National Geographic Channel. The state seized about 50 snakes from the church’s “Snake Room,” including venomous copperheads, cottonmouths, and rattlers.